Their wedding was steeped in culture and tradition and the parties, in pure style. Good things come to those who wait and for Prateik Babbar and his longtime girlfriend, Sanya Sagar, this was definitely true. The couple has known each other for eight years before the actor proposed to her in December 2018. 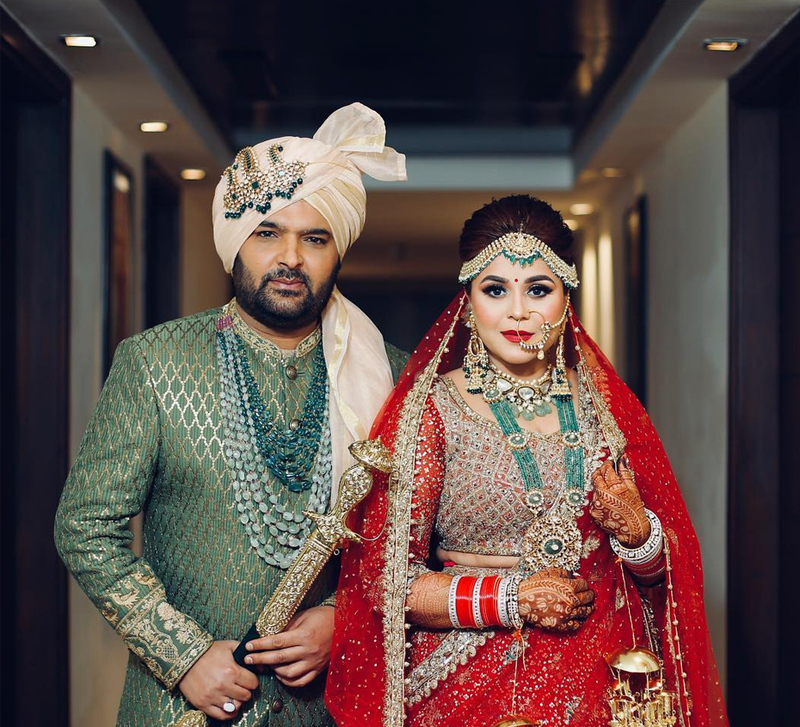 Their ‘Marathi style’ wedding was hosted in Lucknow and the festivities began with a haldi ceremony in tandem with the mehndi at the bride’s home. 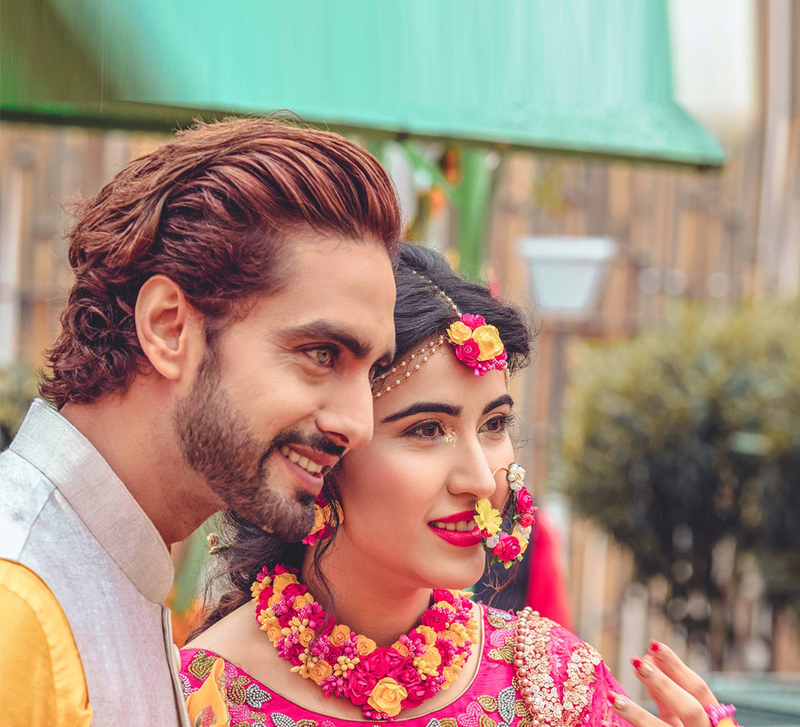 The bride brought a cool, 70s vibe to the event in her bright yellow maxi dress which she paired with tassel earrings in the same colour and a flower crown on her head. Prateik went with a subdued cream kurta and paired it with an emerald green dupatta. The occasion brought a number of light-hearted moments including one where the groom’s father, Raj Babbar was spotted shaking a leg to ‘Bachna Ae Haseeno’! The two wed as per Maharashtrian rituals. Sanya was draped an orange nauvari saree and completed her look with fine gold jewellery. Prateik was dapper in a cream kurta which he teamed with a golden bandi. The traditional ceremony was followed by a reception with all of the duo’s nearest and dearest in attendance. The night saw Sanya in a cream lehenga while Prateik opted for a green bandhgala sherwani and tailored white pants. The couple’s reception in Mumbai had a vintage theme. Prateik showed up in a vintage pin-striped suit, a vintage cane and a hat. His lady love looked perfect in her flapper-girl homage with a feathery, sheer dress that went perfectly with her feathered headgear. Pictures from their ceremonies show the happy couple having the time of their lives as they laughed away, posed like professionals, participated in the merriment and served up striking looks at each event!